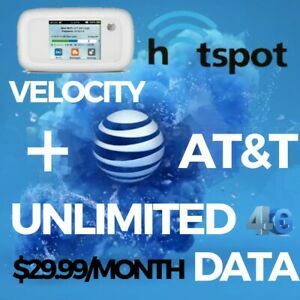 AT&T UNLIMITED DATA NO THROTTLING 4G LTE AT&T VELOCITY MIFI/REAL DEAL PLAN! ZTE Velocity 4G LTE Hotspot. NEW. SIM Card INSTALLED. Free month-unlimited data! attunlimited has no other items for sale. AT&T TRIPLE CUT 4G LTE sim. NEW UNACTIVATE, ALL SIZE IN ONE. 3IN1. Just purchased the Velocity!! I heard good reviews on this item!! I’m happy I’m getting this!! 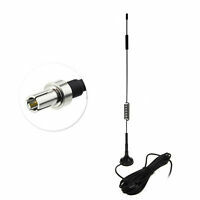 Be awesome to get the antennas with this item!! 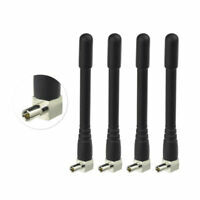 But there’s no antennas available on eBay!! 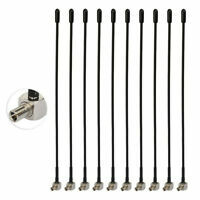 So might look on amazon for the antennas! !!!!!!!! !HAPPY NEW YEARS!!!!!!!!! Good hotspot for travel or at home. Very easy to set up and has a good range. Definitely a steal under 50 bucks. been using it fr a week. only problem has been it disconnects over night. not a big deal, just annoying. have to connect the devices again. not as fast as Verizon. but a lot cheaper! So far it's working great. As advertised I have not experienced any throttling at all. I'm well into the 100 GB range and still going nice and fast. Described was exactly as I receive it.